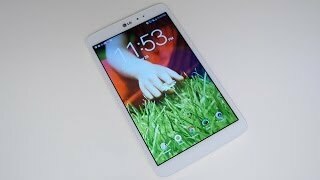 LG has recently released an 8-inch tablet under its LG G Pad series titled as the LG G Pad X 8.0. As most of the companies are focusing on phablets nowadays or 2-in-1’s, tablets are getting less attention which is leading to a shrink in the tablet market every single year. However, this one is a pocket-friendly tablet with decent specs and allows users to make phone calls using this tab as well. To learn more about this tablet including specs and LG G Pad X 8.0 Nigeria price, keep reading. If the name didn’t give it away yet, the tablet features an 8-inch screen showing full HD or 1920 x 1200 pixels resolution and 283ppi of pixel density. It’s comparatively thin at 7.9mm thickness and weighs about 309g. For those who are interested to wait for the LG G Pad X 8.0 release date Nigeria, there are two different colors to look out for: white and gold. 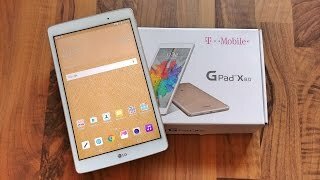 While there is nothing unique about the design, it’s definitely a good looking 8.0-inch tablet compared to other tablets available in this pricing range as the LG G Pad X 8.0 Nigeria price. There is also the Samsung Galaxy Tab S 8.4 and Sony Xperia Z3 Tablet you can try. The LG G Pad X 8.0 is packing a decent Qualcomm Snapdragon 615 Octa-core processor paired with 2GB of RAM. If you are not into heavy gaming, it should be more than enough to give you a smooth Android Marshmallow 6.0.1 experience. The built-in storage might be disappointing for some users as it’s only 16GB. However, it can be expanded to up to 256GB using the microSD card slot. For a mid-range tablet, these specs are quite good. Another thing that you can do with this tablet is make phone calls which means you can use this tablet as a phablet as well if you are into phones with big screens. However, if you are looking for high-end tablets, there is the Microsoft Surface Pro 4 and iPad Pro you can check out. One of the most disappointing thing with any gadgets like smartphone or tablet is its battery life. While we don’t know the exact size of the battery included in this tablet, it’s expected to offer up to 20 days of standby time according to LG. 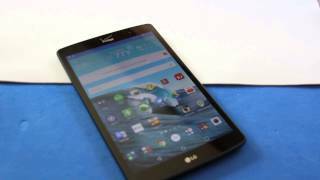 Tablets are not really popular for its camera and it’s the same with the LG G Pad X 8.0. The rear camera is a decent 5.0-megapixel one and the front camera is a 5.0-megapixel one as well. Most of the tablets stick to 2.0-megapixel when it comes to front cameras so it’s definitely a good thing about this tablet. 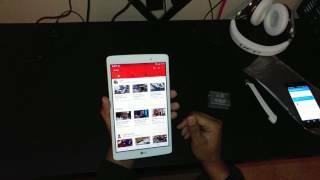 If you are into gaming and want a cheap gaming focused tablet, there is the Nvidia Shield Tablet K1 you can try. 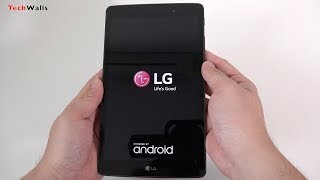 The LG G Pad X 8.0 will be available for only about 98400 ₦ when it’s here. The tablet is already available for AT&T but the LG G Pad X 8.0 release date Nigeria is still a mystery at this point. The g pad x 8 Tablets & EReader is manufactured by LG and was added around November 2016 and is part of the LG G Pad X 8 series.